Update - Duukies Beachsocks now available locally! 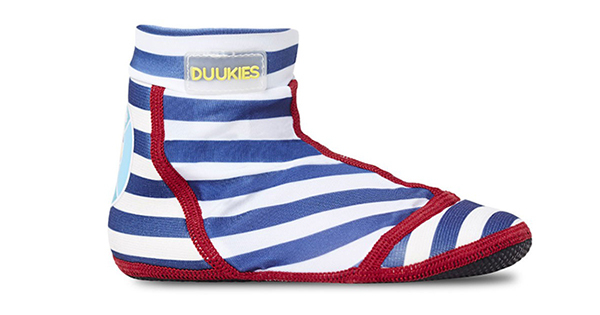 Update – Duukies Beachsocks now available locally! Beach socks in winter? I know, crazy right? Having said that, I hear the weather is still balmy in the northern parts of this beautiful country and there’s plenty of us that are flitting off for sun drenched family holidays to beat the chill – and now that I’ve assured you we haven’t gone mad, I’m thrilled to let you in on the news that you can now find the all awesome Duukies Beachsocks right here in Australia. 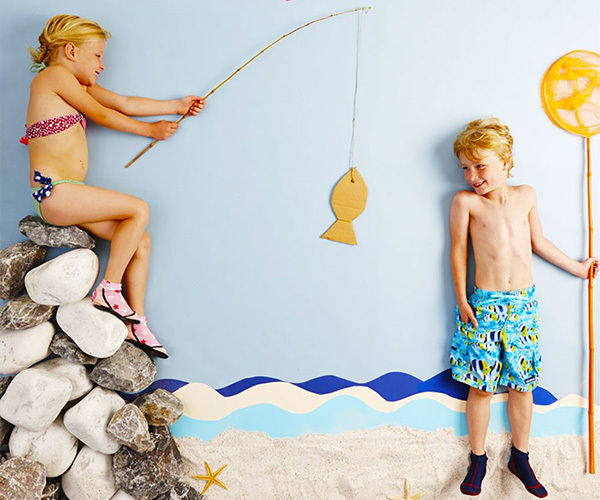 Duukies Beachsocks are awesome for kids to protect their feet when skipping across hot sand, for gathering grip on slippery river banks, against sharp shell grit or if your kid just has a plain aversion to sand and seaweed under his feet. There are several brightly coloured and funky designs to choose from, but it’s the Lieve style (pictured below) in all its European striped glory that has my heart. Made from nylon and neoprene Duukies Beachsocks will dry just as fast as your little one’s togs and they fit like a glove, so there’s no uncomfortable rubbing while playing in the sandy shallows. Priced $34.95 a pair, sizes range to fit the smallest of paddlers in a size 4 to older kids who fit a size 2 shoe. All Beachsocks are available locally direct from Duukies Beachsocks.